Libraries countywide increased the number of children and adults participating in summer reading programs by 11 percent from 2017 to 2018. 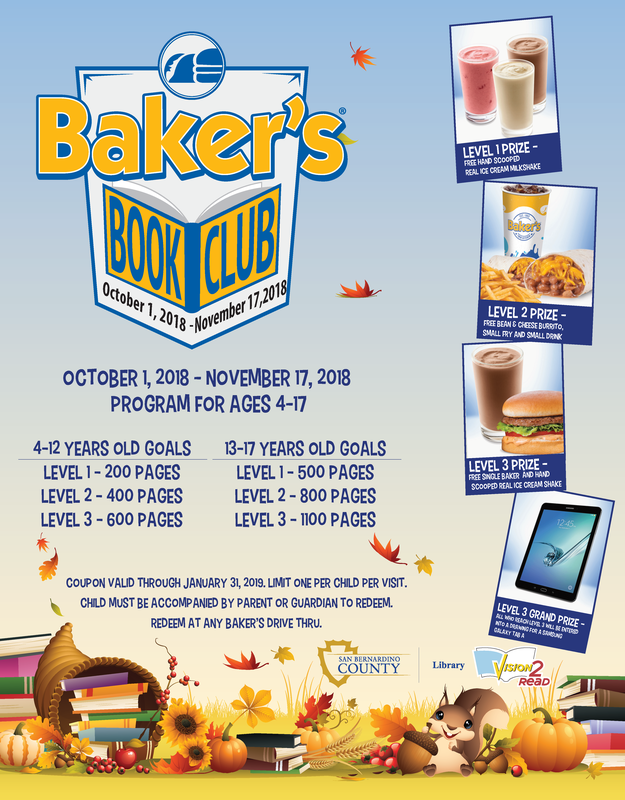 In May, libraries throughout San Bernardino County encouraged people to sign up for library cards and join summer reading programs to help avoid a loss of reading skills that can occur during breaks in the academic school year. During the summer months, libraries offered reading programs that included incentives for meeting reading challenges. 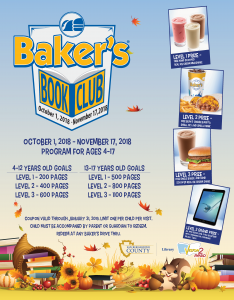 Countywide, 55,327 people participated at all 32 San Bernardino County library branches and the libraries in the cities of Redlands, Colton, Ontario, Rancho Cucamonga, San Bernardino, Upland and Victorville up from 49,821 participants in 2017. The numbers exceed the 50,000 proposed goal set by the Vision2Read literacy campaign. Vision2Read, a literacy initiative of the Countywide Vision project, aims to raise the bar on literacy in our county by focusing on the importance of reading and connecting people who need help or who can help to literacy resources. Literacy has an impact on a number of elements in our community such as jobs and the economy, education, public safety and wellness. When literacy skills are nurtured and encouraged, children and adults can reach the their potential, the local economy can continue to prosper and the county will have a more educated work force to attract employers to our region. Visit Vision2Read.com for additional information about the campaign, literacy resources and a listing of all libraries countywide.